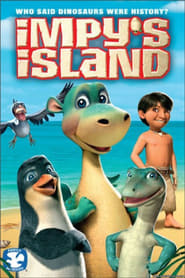 Impy’s Island (German: Urmel aus dem Eis) is a 2006 German computer-animated feature film based on the children’s novel Urmal from the Ice Age by Max Kruse. On a magical tropical island, a fun-loving group of misfit animals and people make a marvelous discovery…. a baby dinosaur frozen since prehistoric times! Little Impy, as the call him, is loving his new family and ready to explore the strange new world. but when a king from a faraway country vows to capture the love able baby dino for his private collection, all the inhabitants of Impy’s island must join together to save their new friend.